In today’s episode of the podcast you’re going to hear a very detailed, step by step account of how a brand new Amazon Private Label seller went from zero to $10K per month in roughly 30 days… and he did all of it AT THE SAME TIME he was working a full time job. How is it possible? It takes dedication, attention to detail, and lots of hard work. Scott is happy to highlight Jaime’s success story here today because it’s proof not only that an Amazon Private Label business can work, but that anyone can do it… even people who are busy or working full time already. So grab a pencil and paper (you’re going to need it) and take some good notes because Jaime drops a couple of mind bombs on us in this episode. The value of “Just in Time” learning… and how Jaime did it in his business. In the process of building any business there are so many details, so many ins and outs to pay attention to that it’s easy to get overwhelmed. Very easy. Building an Amazon Private Label business is exactly the same. 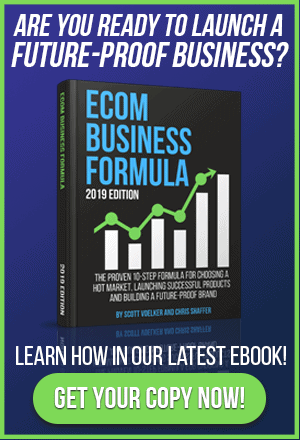 That’s why Scott advocates and practices what he calls “just in time” learning, which is the process Jaime followed in establishing his business and products on Amazon. What is JITL? It’s doing enough research and study of the process to do the next step only. That way you are able to focus, do one thing at a time, and move ahead only when you’re ready. You’re not looking at 20 steps in the whole process, you’re just focusing on one. Hear how Jaime applied the JITL approach to his product research, samples, launch, and sales in this episode of The Amazing Seller. Pay attention when you start interacting with potential product suppliers. You can learn a lot. This is one of the biggest info bombs Jaime drops in this episode of the podcast. He contacted many suppliers to potentially source his products and then he started watching their interactions with him. Did they respond promptly? Did they respond professionally? Were they easy to communicate with? Did they send things to him in the appropriate time frame and in packaging that was right for the product? All of these things added up to show him whether the company he was talking with was trustworthy, concerned about quality, and reliable to do what they said they would do. Jaime explains it so much better from his real life experience, so you’ll want to listen to this interview. Logos and branding issues for Amazon Private Label Products can be a pain. Many people find a designer on Fiverr or someplace similar to create their logos, take their product photos, etc. And that’s a fine way to go about it, but both Jaime and Scott have found that finding someone local to where they lived was a wonderful thing. Why? The communication and time frames were much better, the quality was great, and the ability to be a part of the process was so much easier. Jaime even went to his product photo shoot and got to give input on how he wanted the products displayed and photographed. It’s another tip Jaime shares from his success that you can take from this amazing episode. 30 minutes a day to keep his Amazon product updates and rolling. No kidding. Now keep in mind, we’re not talking about the product research and launch phase. This is after all that work has been done and the product is live on Amazon for the first time. Watching the stats and sales, keeping products supplied, tweaking PPC campaigns, responding to customer issues – all of it takes 30 minutes a day or less. How it that possible? Because Amazon does the heavy lifting by handling all your marketing, shipping, and sales. It’s an amazing business to get into. Now don’t hear that to mean that it’s easy. The product identification and launch process is anything but… but it’s a rewarding way to build a business, not just an income stream. Hear how Jaime and Scott are doing that on this episode. [0:03] Welcome and introduction: Another case study from a new seller who is doing over $10K in revenue with his first product. [1:00] Congrats to one of our TAS community members: Nancy Ramirez. [3:14] Get to know Scott’s new friend, Jaime – a new Amazon Private Label seller. [4:13] How did Jaime get started selling on Amazon? 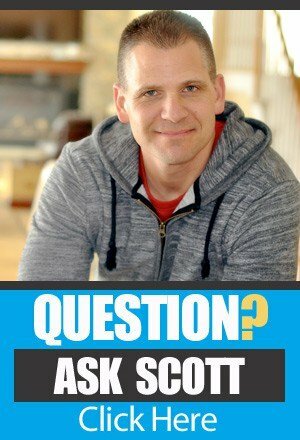 [6:12] Why Scott began this podcast. [7:14] What pushed Jaime over the edge to give Amazon sales a try? [10:03] Did Jaime follow Scott’s course step by step? [11:32] The importance of “just in time” learning. [12:05] How Jaime got his initial product ideas and how he switched products after discovering some interesting data. [17:42] The next step: Product samples from many suppliers and the lessons Jaime learned through email, packaging, and interactions. [19:59] How Jaime paid for his products and how he had them shipped. [20:30] Jaime’s response when he got his first product samples. [22:08] Branding decisions about logo and design. [23:02] Packaging choices and how Jaime handled that issue. [23:20] Ordering the first bulk set of products in a variety of colors. [24:40] What was the time frame for product production? [25:12] Why Jaime had the first batch of products shipped to him and not to Amazon or any processing company? [28:11] In the pre-launch phase: pictures, logos, listings, etc. [31:20] Keyword research: What Jaime did to find the right ones. [34:10] The first order came in… shipping the product in, and a hiccup in his first shipment going in to Amazon. [37:12] When the product went live! – reviews, PPC, etc. [38:20] How long before sales began? [39:24] Jaime’s plan for doing reviews – 80 giveaways. [41:25] Cost of his PPC campaign and how sales have progressed. [44:46] Jaime’s experience with an auto PPC campaign. [46:29] Jaime’s goal for the product: 10 sales a day, and he’s hit much more. [48:48] Jaime’s future: scaling up his sales, preparing for 4th quarter, adding products. [50:23] How much time is Jaime spending each day now that his products are selling. [53:54] Scott’s recap of Jaime’s story and process. This was great to listen to. I’m in your class right now and am in the research stage. Seconding guessing some of my research, but listening to folks who are doing this business is keeping me motivated. Thanks for that! Where’s the transcript? Can’t take the time to sit through the entire podcast, but will read every transcript in its entirety. Yes, please, for me learning is better to understand, due to my grade of english. I live in Spain. Hi Scott, Which version of Jungle Scout is used? The $40 a month web app or the Chrome extension – LITE/PRO? Also the keyword scraping tool – did you get the name? I have launched my first FBA product, running the manual campaign now after the auto. Need to get my sales volume up. Hey Renier, it was the browser extension (The webapp didn’t exist when Jamie was doing research). There are a variety of keyword tools out there but the one I like the most is Simple Keyword Inspector! I am at the phase where I have completed the auto ppc campaign and am waiting for the keyword results. However I heard that the real benefit lies in phrases. Whats your take on that and whats the difference between the two? Thanks. The benefit lies in keywords that convert! You have to start somewhere (with the auto campaign) and you can then use that data to tell you which words and phrases would work best. Does that make sense? This was a very helpful podcast. Thanks for the information. Do you do PPC right away like Jaime did or do you wait until you have an X amount of reviews? I generally wait till I have 3-5 reviews from my first round before I turn it on, but it seems to work both ways! Could I get the name of the photographer mentioned in the podcast? Thanks. Hey Chris, if it’s the one I’m thinking of…it’s Upgraded Images. Thank you. I can usually take pretty good photos, but this item is really causing me trouble. My wife thinks they are good, I am just debating getting them professionally done. Hey Chris, if it’s a sticking point for you…you can take them yourself just to get the listing up and running and then get them done professionally (after you’re selling) to see if you like them better! Another great podcast! I am really excited because I “took action” and have just received my first sample and I like what I see. I have a quick question. When you order the samples, are you asking the manufacturer to send the item with the custom packaging specs and additional bonus items that you intend to offer in the final Amazon listing? Hey Fred, if you’re going to create a bundle you would want samples of each item before you choose your final suppliers. It’s helpful to ask if they have any examples of custom packaging on hand that they could send you…but you don’t have to have them print yours to see as a sample, unless you really want to. Their packaging samples will give you a good enough idea of their quality to get started and make your choice. Hi Scott, thank you for another great podcast. I launched my product on 10th of Sep and I have now about 5-7 sales each day and working extremely hard on keyword and optimizations trying to uplift sales to 10-15 a day. In the worst, if my effort fails and keeps in current rate of 5-7 sales a day, with this rate what level of inventory may I be required for 4th quarter sales? Grateful for all your supports. Thanks again. Hey Man, you can generally expect to see sales tick up 1.5 to 2x as we get closer to Christmas, so the actual level of inventory you need would depend on how much you currently have left in stock. Hi Scott, hank you so much for making effort to answer my question. I wonder how you manage so much time to help others while you are rapidly growing yourself. Scott, I’ve sent you private email. Please read and respond. Great podcast. Which Amazon Review Group did Jamie use for his giveaways? Hey Pete, I believe he used a private review group to gather his reviews. Remember, it’s not the group that makes the difference, per se, it’s really about having the social proof in terms of good reviews!